my window garden | Vintage Joy Etc. 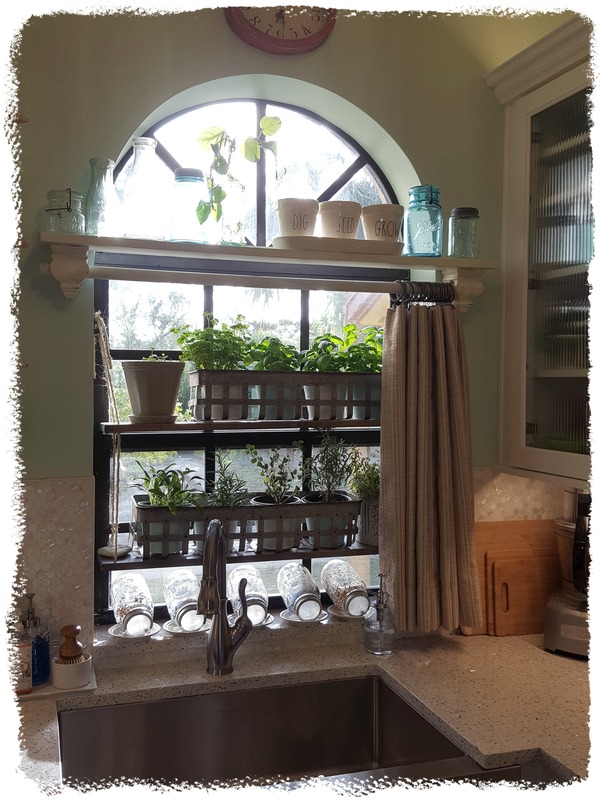 hey there…thought i’d share with you one of my favorite things since we moved into our new home…..it’s my kitchen window! it’s a source of food and also fun… i built a shelving unit that could hang in my kitchen window where the sun comes in beautifully in the morning….perfect for growing herbs… and i built it in such a way that i can adjust the heights between the shelves if need be. 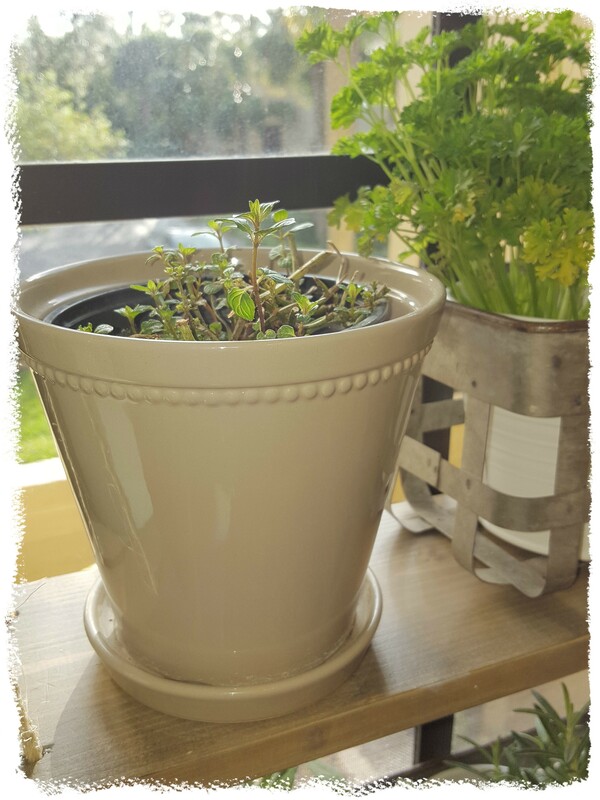 i grow a lot of basil, sage, rosemary, thyme, parsley and peppermint…as those are the herbs i use the most in my everyday cooking. 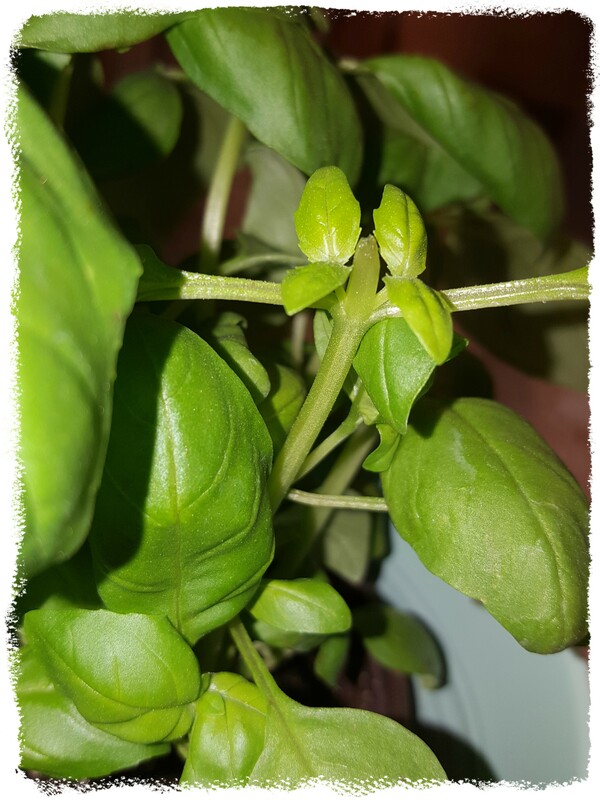 here is how i prune the basil for harvest…see those two tiny sprouted leaves on either side of the already cut stem? 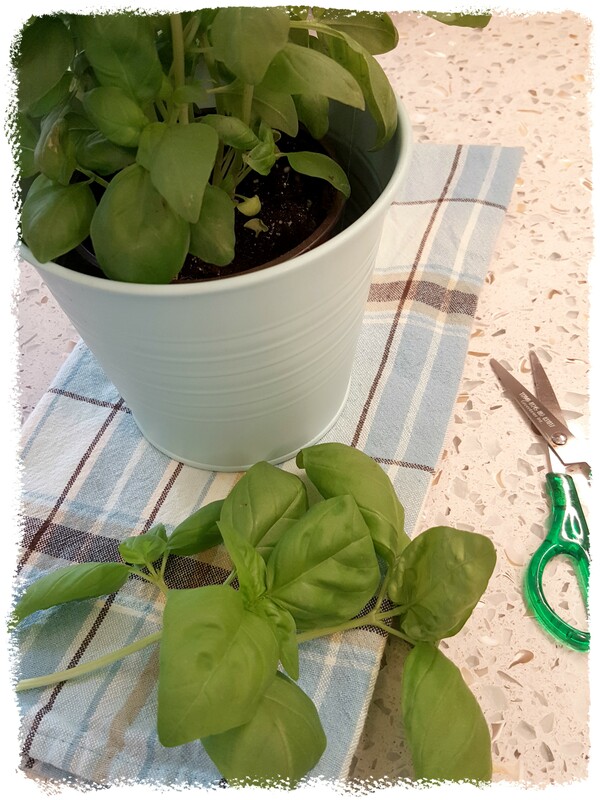 if you prune right there, in several days 4 new big leaves will grow and you will basically have a never-ending supply of basil…gotta love that! 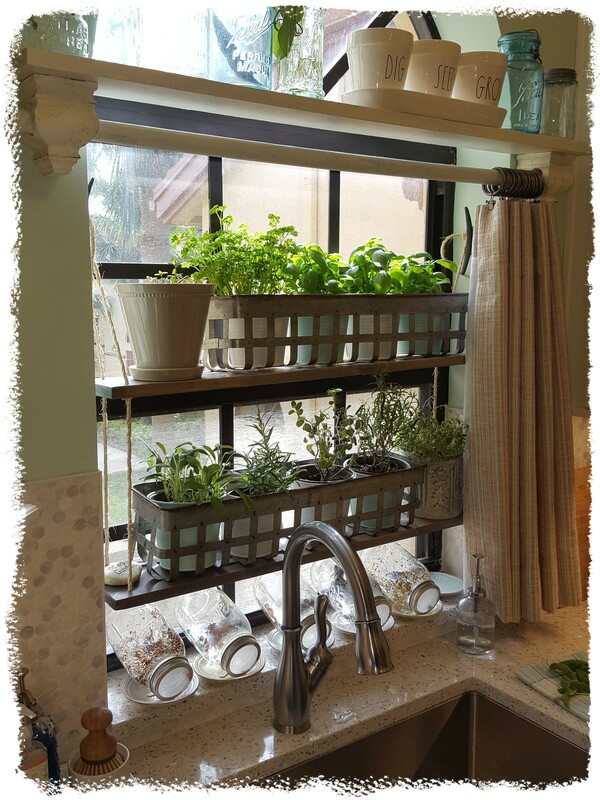 on the bottom window sill i’ve been experimenting with growing all sorts of sprouts…..several weeks ago i sprouted some in soil…and they were delicious…i added them to salads or roll-ups etc…, but i thought all those “roots” were wasted in the soil…so i did some more research…and recently found a pin on pinterest that i just had to try….sprouting them in mason jars…who knew, right?!? 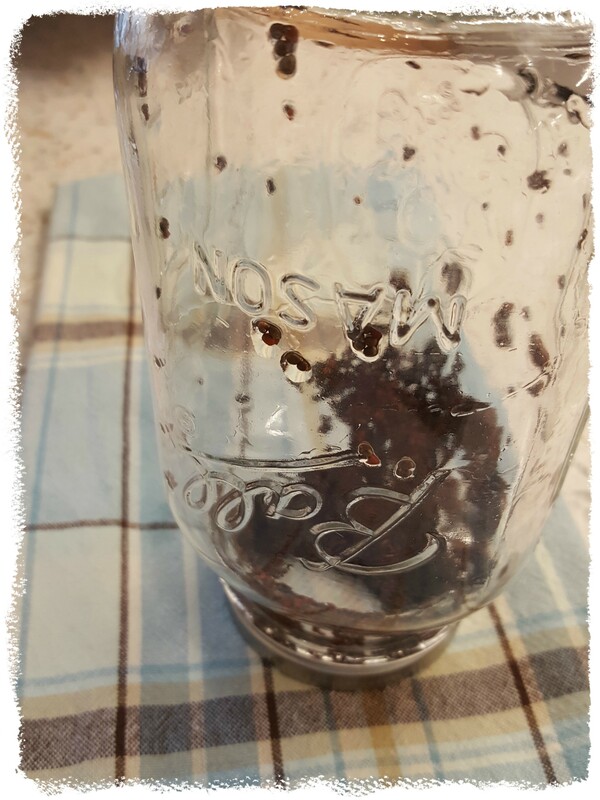 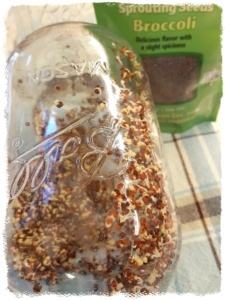 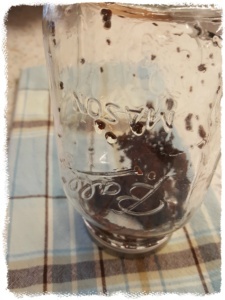 i used ball jars i already had on hand and cut the lid inserts out of fine plastic mesh from the craft store. 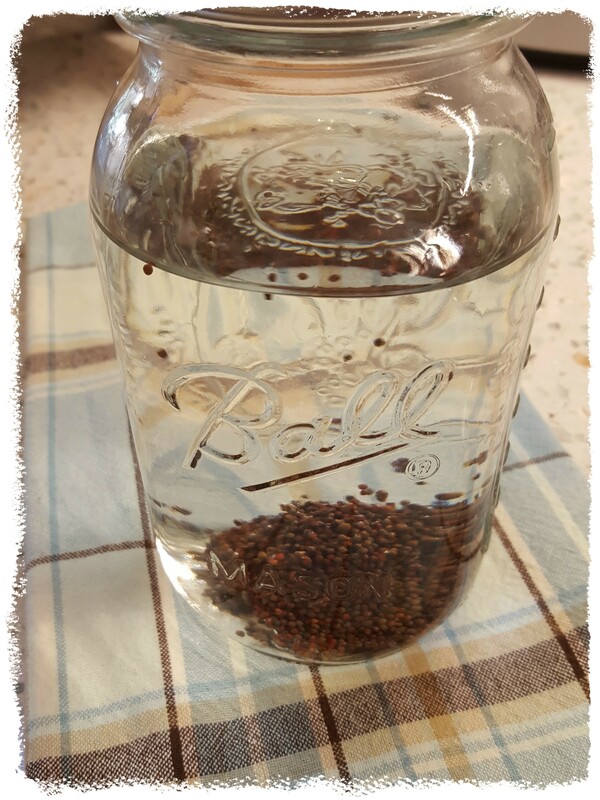 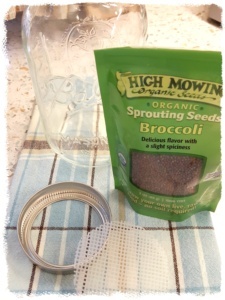 i’ve been rinsing/draining them 2x a day and so far, so good…in a couple more days i’ll be “harvesting a crop” of fresh, nutritious broccoli sprouts. 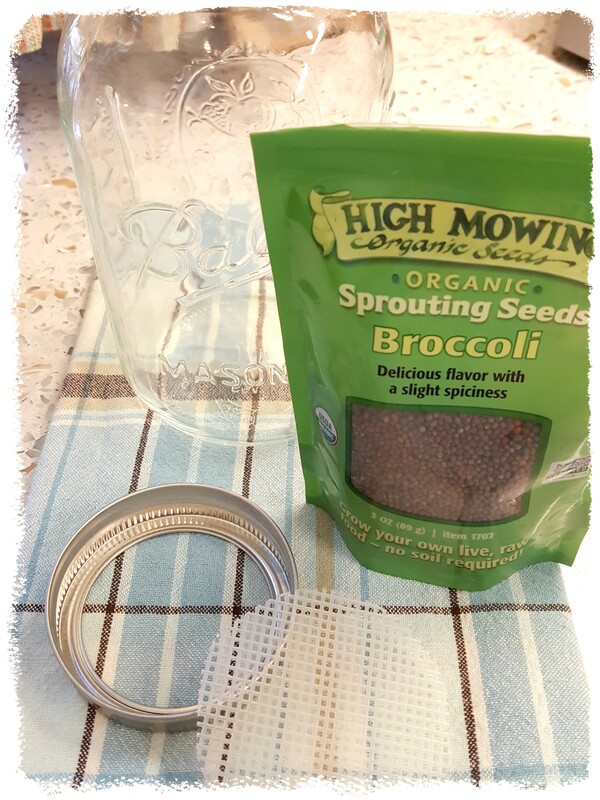 it’s such a fun thing to do…not sure what i like best…watching them grow or eating them ;) Did you know that 3 day old broccoli sprouts reportedly have 10 -100 times more of the healthy compounds found in regular broccoli?? i’m not an expert, but i’ve done lots of reading about their benefits to effect toxins we face everyday in our environment…..besides, they are delicious!!! 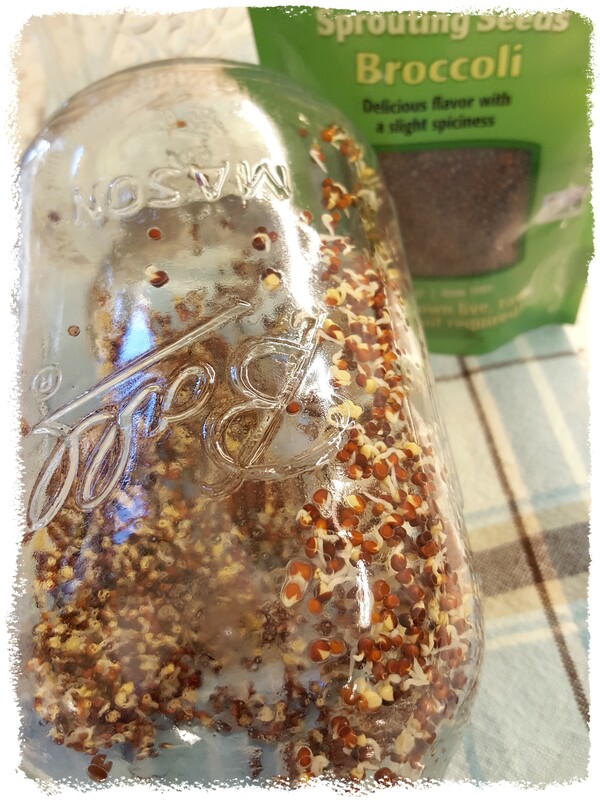 interested in trying to add them to your diet? 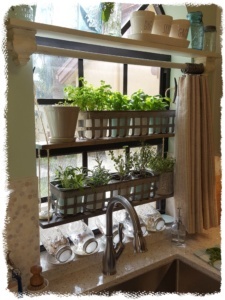 even if you don’t have a bright sunny window…you can still try it…i’ve seen several bloggers that have had success growing them in the winter indoors with not much light…they may just take a couple days longer…I’ve ventured out and have started sprouting other things now also….can’t wait to see what happens next!